Junior Carnavale Resources (ASX:CAV) is just weeks away from making a decision on the acquisition of two gold projects in the USA – one in Nevada, the other in Arizona. The Nevada project is the one we have our eyes on, it’s a potential company maker, located along the famous Carlin Trend – over 150 million ounces have been discovered to date along this trend. Nevada is the largest gold producing state in the USA, and large gold discoveries continue to be made here. CAV has its sights on finding one similar to Newmont’s 2.6 million ounce Long Canyon deposit, which Newmont bought for $2.3BN back in 2011. CAV’s Nevada project – the “Red Hills Project” is a “dead ringer” to Long Canyon – with the same host rocks, same alteration types and plenty of recent sampling which points to large gold anomalies to test. Red Hills is dotted with old workings, and CAV has very cleverly been exploring these historic shafts to assess Red Hills’ potential, along with conducting modern exploration surveys – unavailable when these areas were first mined around 100 years ago. 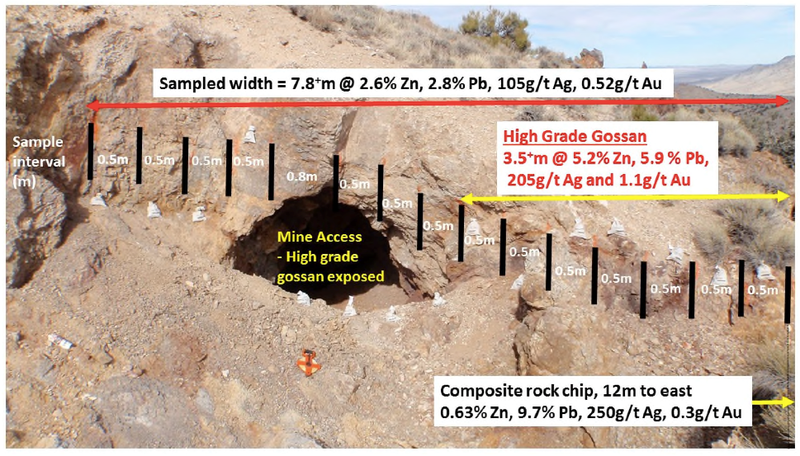 Results are now in, and show high grade gold-silver-zinc and lead mineralisation in outcrops associated with the historical mine workings, and rock chip sampling painting a picture of significant strike and depth potential. These results are on top of the Long Canyon Carlin style of mineralisation being targeted. Two obvious “walk-up” drill targets have been uncovered, one of which is some 500m long x 20m wide and the other is potentially 900m long. Both have detailed sampling showing high-grade gold-silver-zinc-lead plus copper at the second zone. Both these zones have historical workings and shafts along strike which have reported historical grades of better than 20% combined lead and zinc. The gold and silver weren’t even targeted back then! At CAV’s Arizona project, Little Butte, the first round of RC drilling has shown a large and thick blanket of supergene or weathered gold and copper mineralisation – CAV have only just scratched the surface here with RC drilling. The company is now looking into running a geophysical survey over the area to target the higher-grade fresh bedrock source. CAV has until the end of February 2015 to secure these projects by acquiring private company Tojo Minerals. The Next Small Cap first dug into the $2M market capped CAV back in November of 2014 when we published this comprehensive article – Drill Results in Weeks: Tiny ASX Explorer with Multi Million Ounce Target . This article gives a great introduction on why we have added CAV to our portfolio. Red Hills – A Nevada based gold project that’s targeting a multi-million ounce resource in the Carlin Trend, often cited as the most prolific gold producing region in the Western hemisphere. 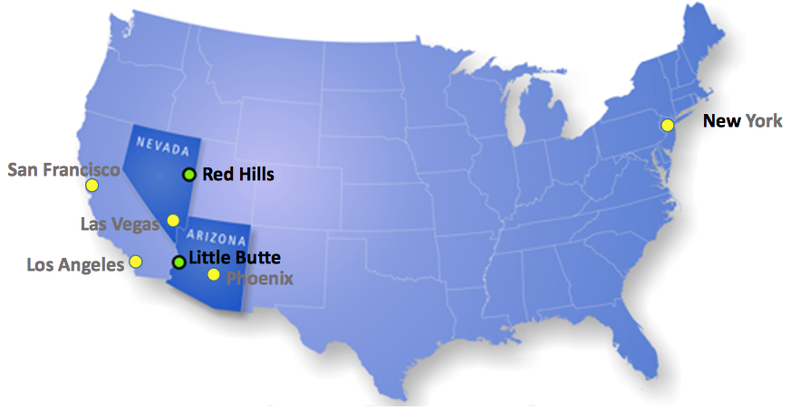 Little Butte – An Arizona gold and copper project where CAV has identified a thick supergene blanket of mineralisation, which they believe will lead to further higher grade mineralisation below in the fresh bedrock. In this article The Next Small Cap is going to run you through the latest company developments, including the high-grade samples CAV has found at Red Hills and the drilling results from Little Butte. Red Hills is considered to be a Tier 1 project by CAV – it has the potential to deliver a company-making asset with a bit of luck – and the latest exploration results from the field show the company could be on to something. Two walk up drill targets have been identified to date, one of which is 500m long by 20m wide – and there are still two more anomalies which are under investigation via rock chip sampling. CAV has entered into an option agreement with a private exploration company Tojo Minerals, which has the rights to both the Little Butte and Red Hill Projects. CAV has the right to elect to acquire Tojo 100% and is required to fund a minimum of US$500,000 assessing the projects up to February 2015 when a decision will need to be made. This is why CAV is doing so much exploring; it’s checking out the projects in order to make a very informed decision. By our calculation CAV must be close to having spent the required funding and should be ready to pounce on Tojo soon. Red Hills shares the same neighbourhood and the similar rock types as Newmont’s 2.6 million ounce (at 3g/t) discovery at Long Canyon – Newmont paid $2.3BN for this deposit, and it believes there could be up to 10 million ounces here. The numbers are not small when it comes to gold in Nevada. Over 150 million ounces of gold has been discovered in the Carlin Trend – in 2013 alone, the state of Nevada produced around 5 million ounces, dominated largely by gold from the Carlin Trend. CAV are hoping to add to these volumes via Red Hills. To do that, it’s exploring four anomalies within the Red Hills project area and hopefully one day amalgamate them into one resource. Meanwhile, at Little Butte, CAV has just wrapped up an 18 hole drilling programme which identified a large supergene blanket of gold and copper mineralisation. This may represent the weathered portion of a higher grade deposit below. The company is currently studying all the data with a view to carry out a detailed EM survey at depth, followed by diamond drilling down the track based on conductors identified in the EM survey. The big prize at CAV’s Red Hills project in Nevada is the potential to find an extension to the Carlin Trend – often called the most prolific gold field in the Western hemisphere – and Red Hills is criss-crossed with the workings of those who have come in search of valuable minerals in decades gone by. Remember, CAV’s Red Hills is in the same neighbourhood as Newmont’s 2.6 million ounce at 3g/t Long Canyon discovery. The Long Canyon discovery also has similar rock types to Red Hills... What if CAV can unlock the southeast extension of the Carlin Trend? All four geological anomalies at Red Hills – Tiger, Rattler, Viper and Cobra – are being tested by CAV using geological mapping, rock chip and soil sampling in a bid to define resource size and drilling targets – and CAV is cleverly starting its search in the old workings and moving outward in a bid to confirm the extent of mineralisation here. 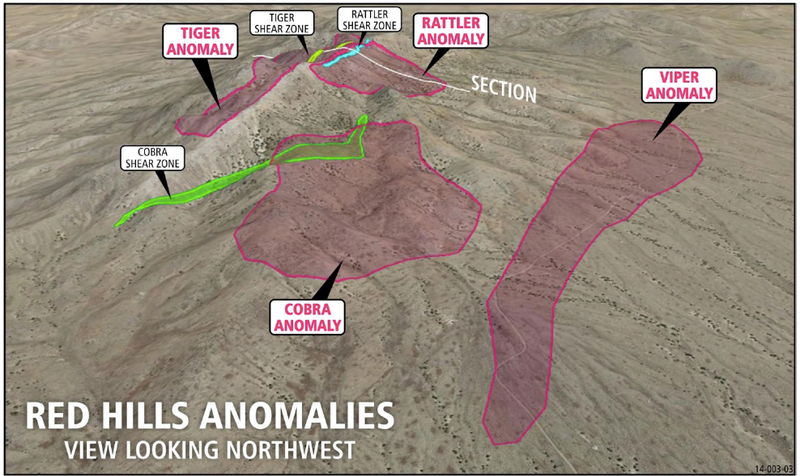 So far, two anomalies have been tested – Rattler and Cobra – and two walk up drill targets have been identified. The first set of numbers above – 7.8m @ 2.6% Zn, 2.8% Pb, 105g/t Ag, 0.52g/t Au – is for the area immediately across the old workings, while the second set – 0.63% Zn, 9.7% Pb, 250g/t Ag, 0.3g/t Au – is 12m east of this zone – giving them a target up to 20m wide. These are encouraging results that widen CAV’s understating of Rattler, and have led to the delineation of a walk up drill target 500m long and 20m wide. The old access adit to the historic workings is 50m vertically below these outcrops that CAV has sampled, and the company says this suggests that past mining occurred over at least 50 vertical metres – something that will be explored further by CAV in the future, pending execution of the Project acquisition. Detailed grid based soil sampling at Rattler has also been completed to better define other zones nearby – these results are pending. 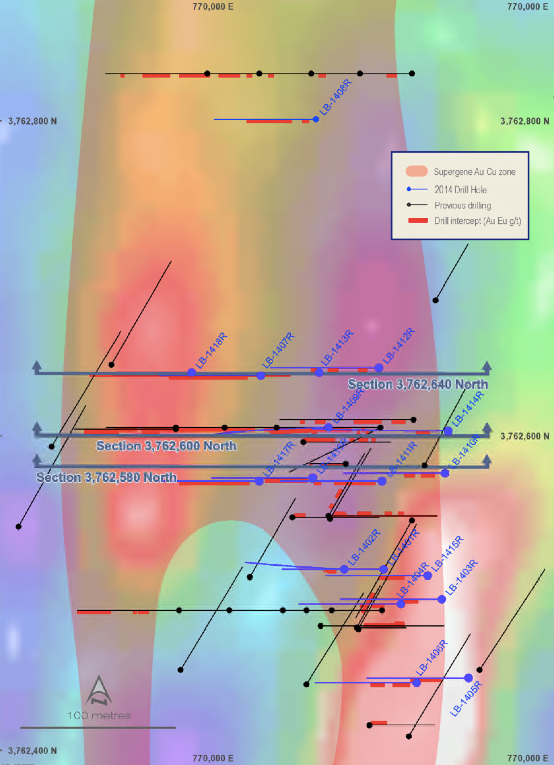 CAV has defined a strong west dipping shear zone with a potential 900m strike zone within the Cobra anomaly, which hosts a series of historical workings including the main extraction adit – quite similar to what it’s got up at Rattler. Limited channel sampling was taken over a 4m section of the Cobra shear zone which found outcropping just near the adit of 3.0+m @ 1.5% Cu, 9.9% Zn, 4.0 % Pb, 317g/t Ag, 0.6g/t Au – again showing high-grade mineralisation. CAV’s also got various composite rock chip samples from elsewhere along the 900m strike length that support high grade mineralisation potential. And just like at Rattler, soil sampling has been taken from Cobra to better define the mineralisation trend and lab results are pending. 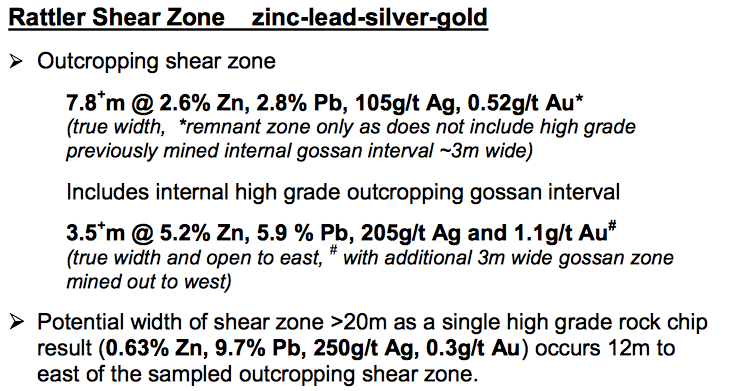 At Tiger, rock chip sampling has shown another zone of high grade gold-silver-zinc and lead along a shear similar and only 100 metres away from and parallel to the Rattler Shear Zone. 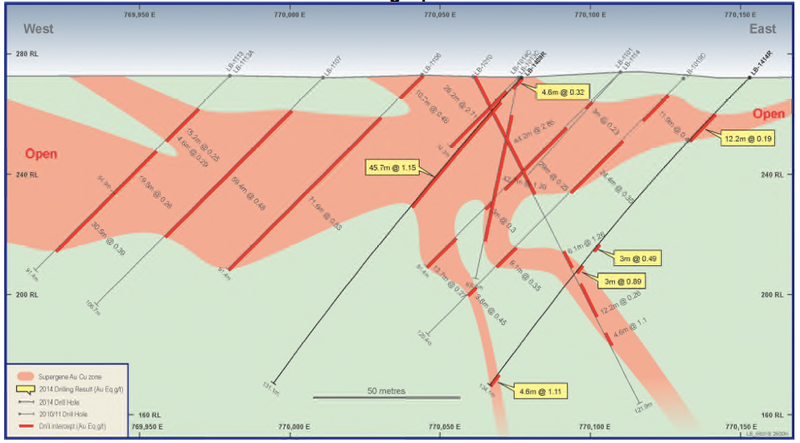 Mapping at Tiger has defined another target 400m long and with similar style of mineralisation to the Rattler Shear. So CAV have been busy sampling and mapping these new targets. At the same time they have collected detailed soils samples over the four large Carlin style targets. Results of this sampling is still pending. Remember, CAV’s Red Hills is in the same region as Newmont’s recently discovered 2.6 million ounce at 3g/t Long Canyon deposit which that company reckons could yield up to 10 million ounces. Same area, same rock sequences ... same potential? It’s early days, but CAV looks to be off to a great start. 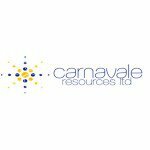 CAV has just competed an 18 hole Reverse Circulation (RC) drilling programme at Little Butte that covered 1,734m to test the near surface weathered portions of the prospect and confirm the extent of the mineralisation. The new drill holes were intended to shed further light onto the results of the historic drilling conducted at Little Butte and confirm the area’s potential. “Where is all this gold and copper coming from?” is the question CAV wants to answer! So the new drilling results confirm that the shallow gold and copper mineralisation is part of a very large supergene blanket and also show that the mineralisation extends much further than first thought. This RC drilling really only just scratched the surface – CAV is now reassessing all data with the view to carrying out a detailed EM survey followed up by diamond drilling to test any defined EM conductors. In addition, CAV’s drilling has thrown up some new prospects at Little Butte – deeper below the Railway Prospect, that an EM survey could help uncover. 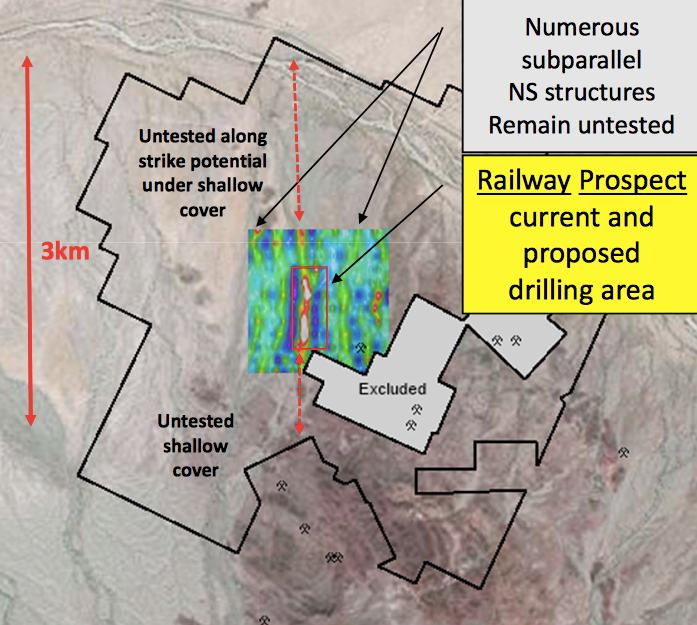 The spatially large and dispersed supergene plume of gold and copper mineralization evident at the Railway Prospect could point the way to a nearby or deeper fresh bedrock and sulphide rich source. This deeply weathered setting at Railway setting is similar to the Degrussa Cu-Au deposit discovered by Sandfire Resources NL in Western Australia. Sandfire uncovered this deposit through soil sampling and shallow drilling into the highly weathered near surface rocks where a similar plume of gold and copper was discovered, then drill holes were sunk through to a sulphide rich ore body hosting high grade copper and gold mineralisation just beneath in the fresh bedrock. It’s very early days for CAV at Little Butte – Only more exploration will tell if CAV truly have something of value – like Sandfire’s Degrussa deposit. CAV’s year ahead – more drilling round the corner? It’s a New Year and CAV starts 2015 with a decision to make on Tojo, which shouldn’t be too hard to make based on the drill targets already defined at Red Hills – let alone the upside of a large Carlin deposit to be found. Then there is the deeper bedrock target beneath the large supergene blanket at Little Butte to top it all off. So we will be looking for news on the Tojo acquisition and at Little Butte we’ll be looking out for any news on an EM programme to look below the supergene blanket of gold mineralisation there. At Red Hills, we’ll be looking out for detailed soil sampling results from the four large anomalies. With two walk up drill targets identified to date, we are looking forward to what else CAV can uncover there at Red Hills. All of these results are painting an ever clearer picture of what CAV has in the ground there – a place with similar rocks as Newmont’s 2.6 million ounce at 3g/t Long Canyon discovery. Can tiny CAV unlock the southeast extension of the Carlin Trend at Red Hills? The coming months could be defining for this company.